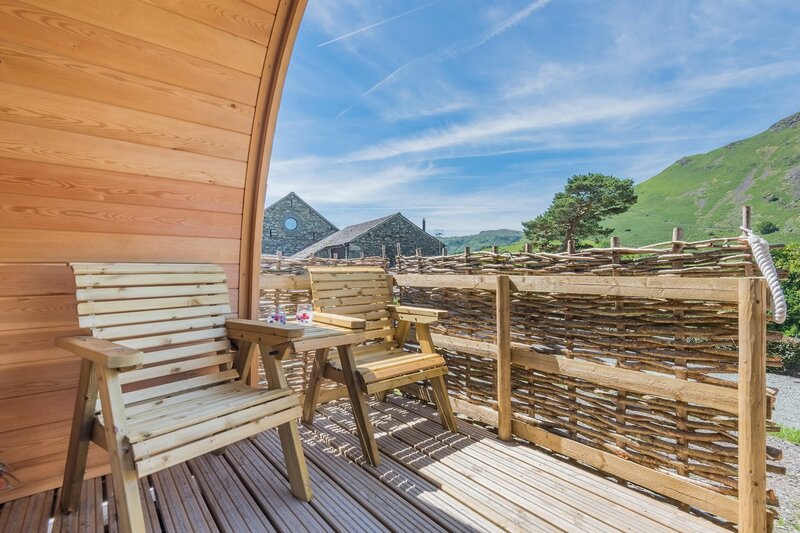 Grasmere Glamping; taking the outdoors to another level! Our luxury accommodation has been hand built to our bespoke design for couples wanting a romantic retreat or a place to chill out for a few days. Available to book for full weeks, weekend and midweek breaks. 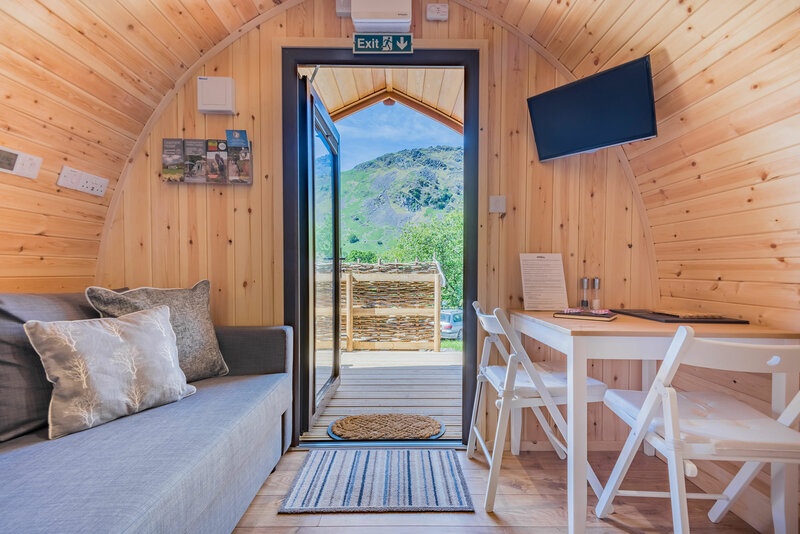 Our two luxurious Micro Lodge Pods are located on Broadrayne Farm in the very heart of the Lake District National Park. Broadrayne Farm, a former 17th century farm, enjoys a sunny elevated position surrounded by some of Britain’s finest scenery, and there is instant access to many inspiring mountain and valley walks. The famous Coast to Coast route passes through the farms land, the picturesque village of Grasmere is a short stroll away and there is a traditional Lakeland Inn just 400m down the road. What's in the Pods? It would be easier to say what there isn’t! Unfortunately, the pods can not accommodate pets and nor should pets be left in vehicles on site, at any time. 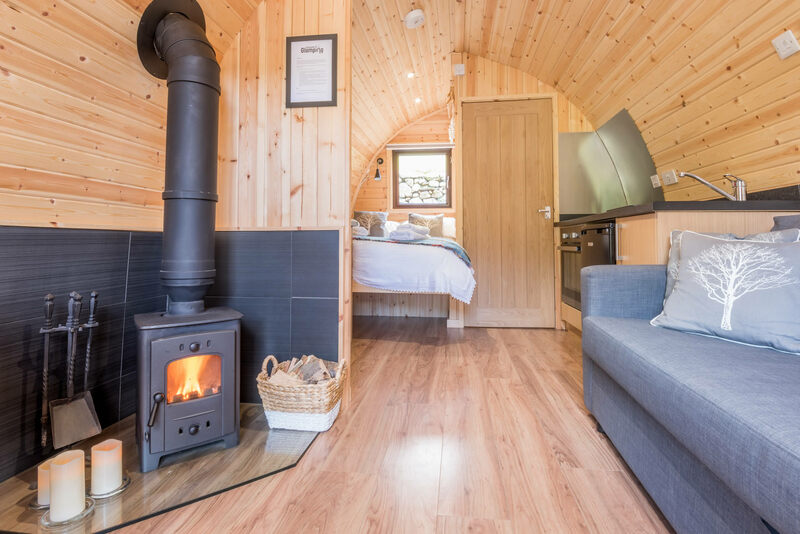 The pods are available and equipped for 2 adults in a double bed only. They are not suitable for young children. If you can't find the availabilty you are looking for here or if you need a bigger space for more people then please check out our sister sites Broadrayne Farm Holiday Cottages or The Yan. *only fuel purchased from Broadrayne Farm can be used in this bespoke burner. Please contact us directly for Christmas & New Year.